Being a queen is hard work. First of all, you never know if an enemy will try to attack your country, attempting to take over. They could strike at any time so you always have to be prepared. Second of all, there's always the threat of dishonesty in your royal court. Someone you trust could be plotting your death at the very moment so they can sit comfortably on your throne. Last but not least, there's the pressure to always look your very best. Queens are supposed to be entrancing at all times! 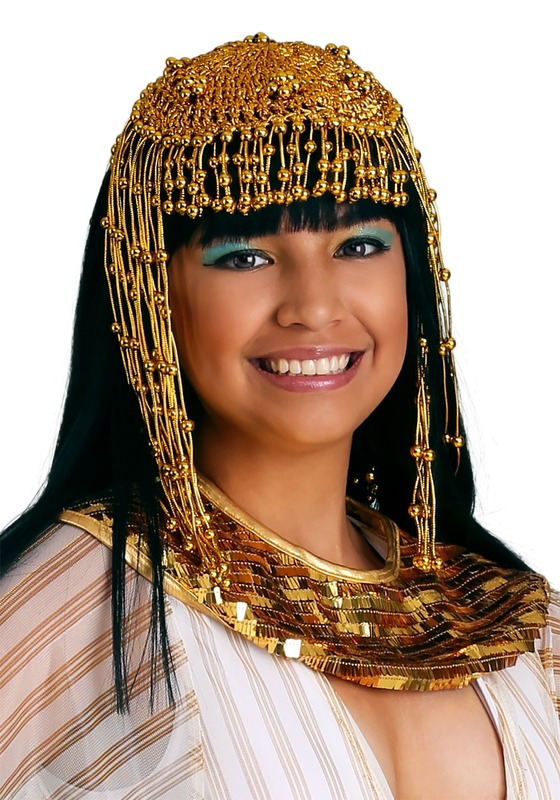 We can't protect you from getting murdered or aid you in guarding Egypt against invasion but we can guarantee that you always look fashionable and fresh. 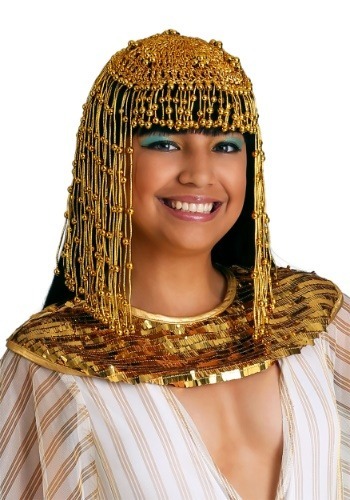 Add the Cleopatra beaded headpiece for women to your gilded closet filled with extravagant clothes and accessories. 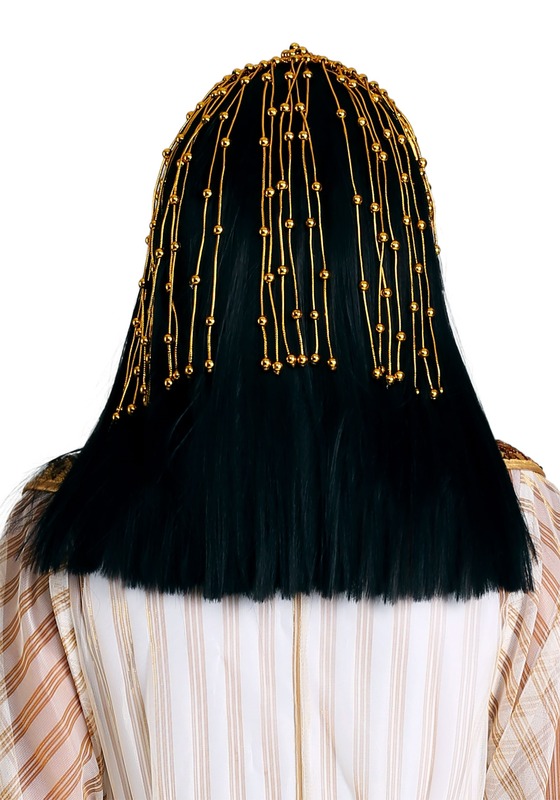 This headpiece comes in one size and is predicted to fit most heads. All of the golden-toned beads are strung onto a metallic gold cord. The headpiece hangs down under the chin while sitting comfortably on top of the head. Do you want the exact look pictured here? 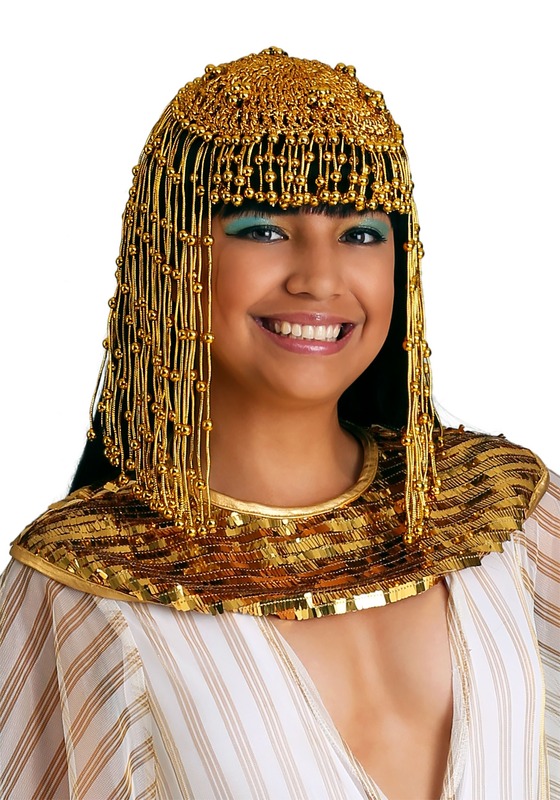 Pick up a short black wig to complete your Cleopatra costume.